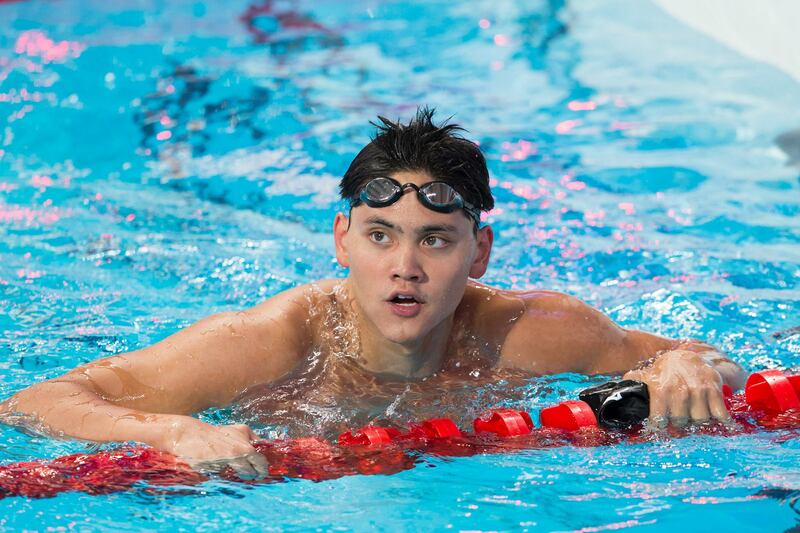 Texas junior Joseph Schooling, the 2016 Olympic champion in the 100 meter fly, returns after coming within hundredths of a 43-second swim last season. While Tom Shields became first man to clear the 44-mark earlier this season at U.S. Winter Nationals, Schooling still has a chance to be the first man in the NCAA to do so. He’s already been as fast as 44.06 this season, which is just .05 off his own NCAA Record. 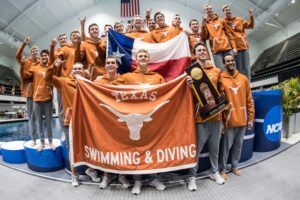 Schooling will be challenged by teammate Jack Conger and Florida’s Caeleb Dressel, who are the most likely contenders to pull off an upset. Dressel rocked a personal best 44.21 to win the SEC Championship title last month. Conger, on the other hand, posted a 44.56 at the Big 12 Championships, which is just a hundredth short of his best. NC State’s Ryan Held and Cal’s Matt Josa are also in the running for a top spot. Josa, who boasts a personal best 44.89, transferred to Cal this season after spending 2 years with Queens University. Held (44.79) made a change in his event lineup this season, choosing to swim this race instead of the 200 free. 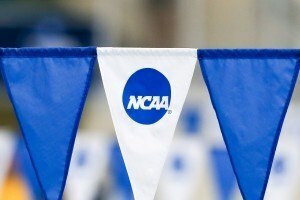 Returning All-Americans in this event include Cleveland State’s Philipp Sikatzki, Ohio State’s Matt McHugh, Georgia’s Pace Clark, and Alabama’s Luke Kaliszak. The fastest of that group so far has been McHugh, who put up a 44.91 at Big Tens. The field will also see Cal’s Justin Lynch, Indiana’s Vini Lanza, LSU’s Logan Rysemus, Missouri’s Andrew Sansoucie, and Texas’ Will Glass return after scoring in the B final last season. Sansoucie (44.86) is one of a handful of men who enter with sub-45 times. After taking an Olympic redshirt in 2015-16, USC’s Santo Condorelli will be back at the NCAA meet. He’s one of several Pac-12 finalists competing. Stanford’s Andrew Liang and Arizona State teammates Andrew Porter and Tadas Duskinas will also look to make waves in this race. That would be like Simone just skipping a half second. Capable of it, but not happening. …but Simone did just that. So why not Schooling? Can’t rest as much in prelims as Simone could throughout the meet, for one. For two, Simone didn’t swim NCAAs in the run-up to the Olympics, because she took a redshirt year to train, so we don’t know what her time drop would be from just a year ago. In contrast, Schooling at NCAAs last year wasn’t that much different than Schooling at Olympics. A half second progression for Simone in 24 months with the run-up of a redshirt Olympic year was much more likely than Schooling dropping 10% (over half a second in a 44 second event) just 12 months from a time at his biggest meet outside Olympics. Not going to happen. You’re comparing apples to oranges. 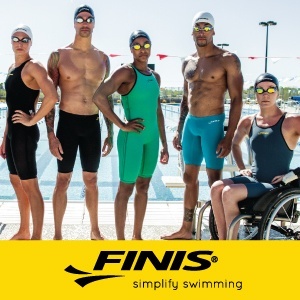 You guys need to keep up with swimming for both genders. 10% of 44 is 4.4 seconds. Not really dropping .5 is about 1% not 10%. Seems very plausible. He dropping .5 seconds the year before. And he’s going to do it every year, especially the post-Olympic year? Not happening. By my count, when Simone swam 45.56, she had already raced 3x 200 free, 2×100 free, 6×50 free. All within 1 sec of her personal bests. 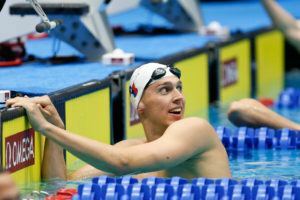 In finals of the 100 fly, Schooling will probably have already raced 3×100 fly, 4×50 free, 1×50 fly. My prediction is Schooling goes 43.5, not that I am pulling for it, I prefer Shields to have the record.. If Schooling goes 1 sec of his personal best in any event except the 200 fly, he won’t make A final and Texas relays lose. 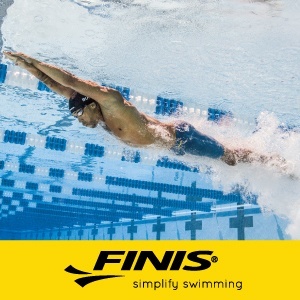 Will Schooling be on 800 FR like last year? How else does Texas win it? She dropped half a second in two years, not one like you’re projecting Schooling to do. She took a redshirt year, so we don’t have a SCY time for comparison from her ascent to stardom last year. He did go from a 1:39 mid to a 1:37 high last year in his 2 fly so I don’t think dropping a half second in his 1 fly is to unreasonable, never doubt schooling! Seems perfectly reasonable honestly. He went 44.06 untapered afterall. for him, it’s only day 2, and it’s not like doing a few 50s and one fast relay swim the day before will wear him out. He’s not a Masters swimmer like me! I’m sure he was at least a little rested at Big-12s but I’d be very surprised if he can’t drop more time. Dressel’s close to going under, too, even Conger and Held have a shot (Held showed awesome raw 50 fly speed at ACCs)… The winning time will be in the 43s, count on it, maybe even 2nd, and wouldn’t it be something if 43.9 got you 3rd place? I’m just saying he doesn’t break 43.5. That was the post. Thought it would be day 3 for him. Pretty sure he’ll be on the 800 FR, like last year. 50 free is on day 2. 100 fly is on day 3.